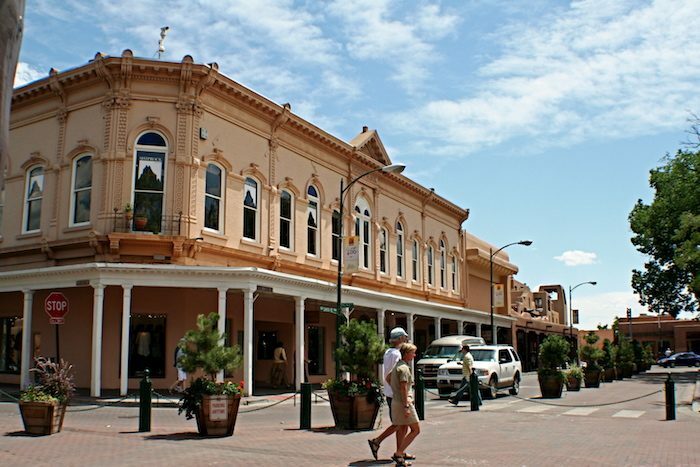 Santa Fe is known for its history and artistry — you can get a dose of both while running through the East Side neighborhood, the site of some of the city’s grandest homes and the historic Plaza, with its Palace of the Governors, walkway of Native handmade offerings, shops, and eateries. Our friends at Running Hub Santa Fe have mapped two routes through this scenic sector of town, starting at their store on Don Diego Ave. (However, you can start the loop from any point in town!) Just take note, this route crosses some busy streets, so take your headphones out and pay attention at intersections! The first route encompasses tourist attractions such as Canyon Road, the Rail Yard, and the Plaza, while the second traverses Museum Hill, site of the city’s four most popular museums. Coming from the direction of Running Hub, both routes start out uphill and culminate in a rewarding downhill finish. These loops are easily accessed from almost anywhere downtown.